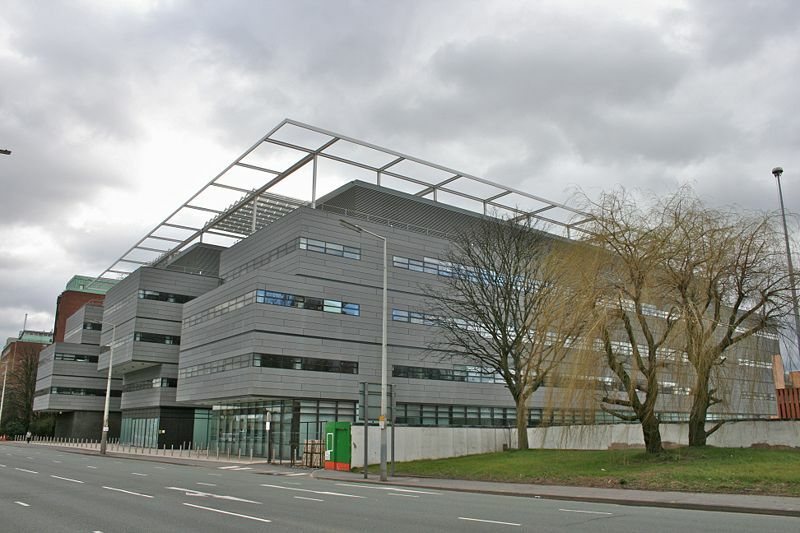 Most of the research astronomers have offices on the 3rd floor of the Alan Turing Building on the university campus in central Manchester. The Alan Turing Building is number 46 on the campus map. You can also find us on Google Maps. Jodrell Bank Observatory lies 20 miles south of Manchester on the A535 between Junctions 17 and 18 of the M6 motorway. Here is a map of the region south of Manchester and zoomed in to the area around Jodrell Bank. There is no public transport to within walking distance of the observatory. The closest railway station is Goostrey which is on the Manchester-Crewe line. The visitors' entrance, which lies on the northerly boundary of the site, is reached by turning to the west of the A535 on to a minor road (Bomish Lane). Visitors wishing to use sat nav to guide them to Jodrell Bank Observatory and Visitor Centre should use postcode SK11 9DW as this will bring you to the end of Bomish Lane near to the signposted north entrance. The official postcode SK11 9DL in our postal address will unfortunately attempt to bring you in via our southern entrance which is not open to the public. Please note mobile phones must be switched off while on site as they interfere with our radio observations. Bridge Farm: Farmhouse Bed & English Breakfast, 4 rooms. Tel 01477 571202. For lots more alternative accommodation see Cheshire Tourism Accommodation and click on either the Congleton or Macclesfield areas. Jodrell Bank is just on the border of these two regions. As mentioned above the accommodation is not really within easy walking distance of the observatory. If you do not have your own transport then you will need to book a taxi to the observatory.